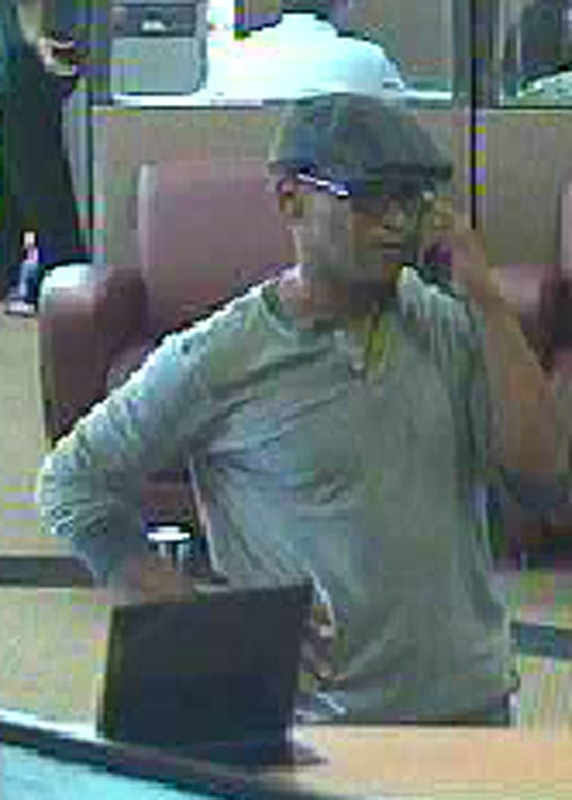 Elk Grove Police are seeking a suspect in connection with an armed bank robbery this afternoon. 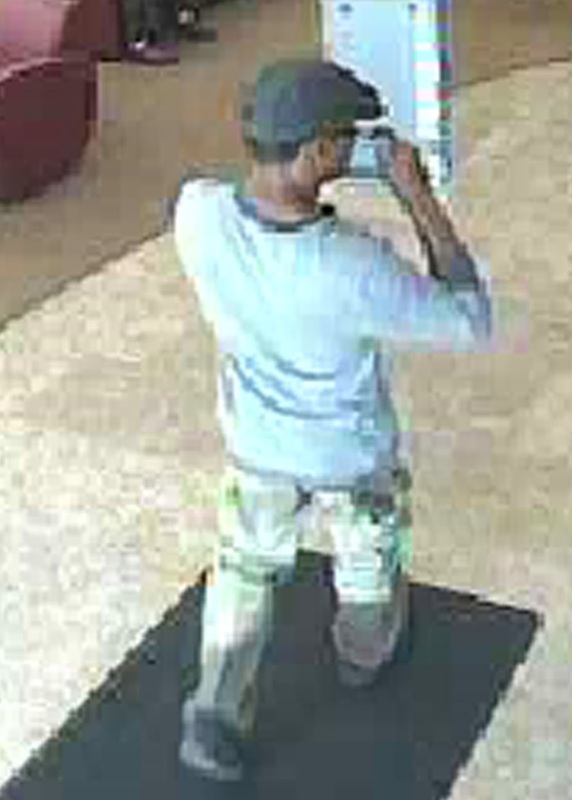 At approximately 3:45 p.m., the suspect (pictured above and below) entered the Schools Financial Credit Union on Laguna Boulevard and approached a teller. 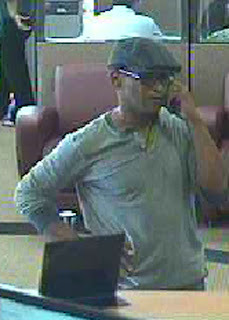 The suspect demanded money then brandished a handgun at the teller. The employee complied with the demands, and after being given an undisclosed amount of currency, the suspect exited the bank and was last seen walking away from the location in a southbound direction. The suspect is described as an African-American male, approximately forty years of age, five feet seven inches tall (5’7”) with a thin build. The suspect was wearing a gray caddy cap, black framed glasses, a gray shirt and khaki pants.